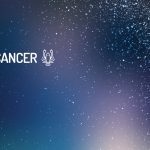 Here, you can find out more about the weekly Horoscope for Cancer, from April 15t to April 21st . Every week, WeMystic will bring you the forecast for Love and Relationships, Health and Money & Career. Singles: when was the last time you did something without thinking first? It’s cool that you’re responsible, Cancer, but what happened to the fun? Take a chance and do something bold. Underneath this hard shell is a softer, more relaxed person, waiting to have fun. Finding someone who is totally different from you can be interesting on the weekend. Opening your mind leads to some satisfying romantic moments. Engaged: do something together on a whim. The more novelty you can inject into your relationship, the more exciting it will be. Conflicting ideas can cause tension at the end of the week, so it’s important to explain yourselves very well. You may not be 100% in favor of one another’s opinions, but at least you can agree to disagree. Do not get into conflicts. This week you’re going through some relationship drama. The things that you thought were implicit between you and your bosses, mentors, or employees may be misinterpreted or criticized. Let it roll on its back and make it clear next time. If Money and Career is tied to these exchanges, communicate your needs and do not let the conflict spoil what is potentially a great partnership, benefiting everyone. If anyone understands this, you understand it. This period begins with the feeling that you are on the right side of larger forces. It’s good to look for a better position. You can go deeper and be especially uncompromising. Wait long hours at work. Do your best to finish what you get. You may be able to mediate a conflict. Talk about what you’re doing. You may be feeling underappreciated these days. Try to ease this feeling by reaching out to others. Now, you do not have to walk up to people and say, “Appreciate me.” That’s far from your style. However, you need to start going out more. Even if it’s only for an hour, get into more social situations (which will not be too difficult in the coming months). Talk about what you are doing and let people know your thoughts and feelings. You digest ideas, mental concepts and also food. Some may be more easily assimilated than others. If you are taking the time to investigate issues associated with your well-being, go to a source you trust.